The flip of the calendar page to December brings a stockingful of weekend holiday-themed events throughout the Valley Forge and Montgomery County area. As you scurry from store to store, don&apos;t forget to enjoy some downtime with family and friends at one of the following recommended happenings. The Gift of the Magi is a Christmas legend that has been around since 1905, telling the warm story of a young couple struggling to buy gifts for each other. This heartfelt tale comes to life at DCP Theater, opening December 5 and running to December 14. Catch a charming performance and witness power of selflessness - particularly compelling at this time of year. Peter Wentz Farmstead welcomes Belsnickel, a Pennsylvania German St. Nicholas, in a December 6 evening of colorful decorations and seasonal music. Introducing him to kids will be an interesting way of expanding their knowledge of other cultures and traditions in celebrating the season. If nothing else, they are sure to be captivated by his fur-trimmed costume. While you&apos;re there, tour the farmstead, bedecked in frill and folderol and lit by festive candles. Colonial music provides a period backdrop. The 1,000 luminary candles lining the towpath of the Schuylkill Canal Lock 60 are a stunning sight, reflected in the placid waters and gently pushing back the darkness. 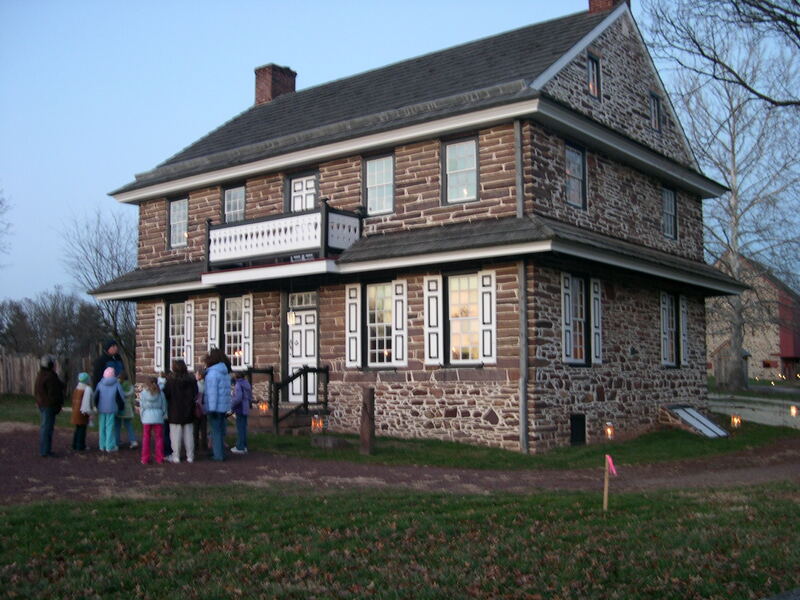 At the Holiday Luminaire event, December 6, the Locktender&apos;s House is open to receive visitors to its night of Dickensian decorations and seasonal music. The magic begins after sunset, running from 6-9 p.m. Tap into the spirit of the Valley Forge Beer & Cider Festival December 6 at the Greater Philadelphia Expo Center. More than 75 brewers and cider-makers will offer more than 150 examples of their craft. To cleanse the palate between samplings, a wide variety of food will be available from onsite concessionaires. There is also an altruistic twist to the afternoon: The event is raising funds for the Committee to Benefit the Children, a local charity that provides resources for treatment, care and family support to benefit area kids with cancer, leukemia and serious blood disorders. Attendees can also help feed a local family in need this holiday season by bringing nonperishable food donations or addressing a specific need by bringing infant diapers of all sizes. It&apos;s a holiday celebration with a natural spin at the holiday open house at the December 7 event at The John James Audubon Center at Mill Grove. The house and museum will be decorated inside and out, and admission is free. Events for the whole family include owl presentations, live music, a scavenger hunt and light refreshments. Shopping for a nature lover? Browse the unique items in the gift shop. All that activity may leave you hungry. Replenish your energy source with a hearty pasta dish from Ralph&apos;s of South Philly. If the quiet ambiance and relaxed pace of the meal inspires the notion to check into a nearby hotel room and extend your seasonal adventure for the remainder of the weekend, see our website for accommodations.